Description: From 1 to 4 feet tall. 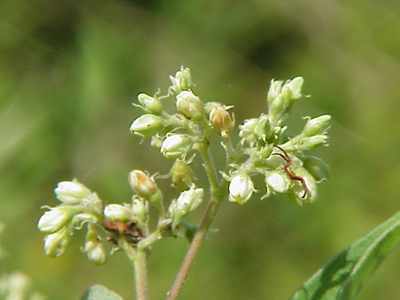 Leaves are elliptical, flowers bell shape white to whitish green in color. 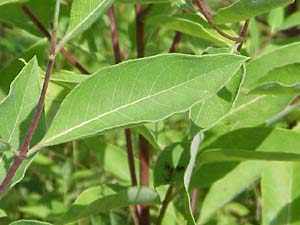 Intermediate dogbane is between Spreading Dogbane and Indian Hemp. 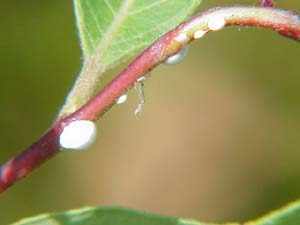 When stems or leaves are crushed a white milk like substance oozes from damaged area. 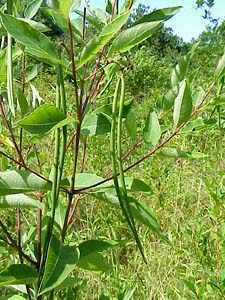 The fibers from this plant was used by the American Natives to lash stone points to shafts.